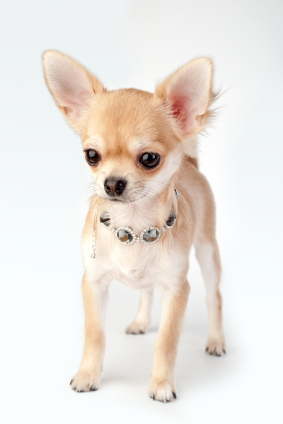 retweet The Chihuahua may be a diminutive breed of dog, but there is a lot more to them than meets the eye. They are by no means timid, nor have they been a breed of passive lapdogs during their long history – despite their size. The Disney movie Beverly Hills Chihuahua has a wonderful scene in it, where the main character – a spoiled and pampered Chihuahua – encounters an ancient group chihuahuas in an Aztec temple, in Mexico. They explain their long history and important status they had in Aztec culture, all of which is true. The Chihuahua is most likely descended from a similar small breed of dog – the Techichi, which the Toltecs first domesticated. This was around 500 AD. The dogs used to live in people’s homes and they became part of religious ceremonies. When the Aztecs conquered the Toltecs, the high status of the Chihuahua’s remained in Aztec culture. The Techichi was a mute dog, with long hair. Explorers and conquerors took this small breed of dog back to Europe and the modern Chihuahua breed came into being. The American Kennel Cub first registered Chihuahuas in 1904. Their name comes from the Mexican province of Chiuahua, where the dogs were first discovered near the Casa Grande ruins. Chihuahuas are by no means timid. They will often defend their personal space quite aggressively, and think nothing of initiating a fight with a dog that is ten times bigger. They are lively, active dogs and they do develop fierce loyalty to their owners. 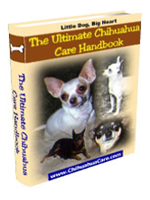 Chihuahua owners need to be aware that there are some inherent health issues with the breed. The kneecaps on the back legs tend to be loose and can slip out of place. Some individual dogs will suffer from hypoglycaemia, one of the signs of this low blood sugar condition, is the Chihuahua having glassy eyes. A collapsing trachea affects many dogs, such as Pugs and Chihuahuas. This leads to your dog having difficulty breathing and very often passing out, should they be running around a lot, especially during hot weather. Moleara is considered to be a characteristic of Chihuahuas, rather than a defect of health issue. It is a soft spot on the top of their head, where the skull has not knitted together. Human babies have this and outgrow it, but the vast majority of Chihuahuas do not outgrow Molera. Smooth coated Chihuahuas require regular brushing at least once a week. Long-aired Chihuahuas need regular grooming and hair trimming, so that their coats do not become tangled and knotted. If you use a professional groomer, make sure that you start the regime when your Chihuahua is young, to minimise anxiety and trauma. Because of the low blood sugar problem that is common to these dogs, and the fact that their digestive systems are small and delicate, it is a good idea to feed you Chihuahua several small meals during the course of the day. Mixing dry dog and tinned food together, in small servings is a good method of ensuring your Chihuahua gets the right nutrients, without struggling to eat the food. Because of their size, Chihuahuas are relatively easy to travel with. Many Chi owners worry about leaving their dogs in the care of strangers, or kennels, due to the special care they give their pets. 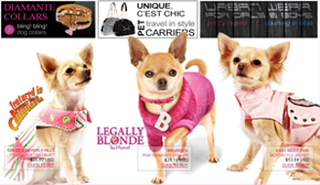 Check out Chihuahua clothing and accessories, like travel bags and toys, that can make the journey comfortable and enjoyable for your Chi. Animal & Pet Directory – List of Animal and Pet Services, vets, dog walkers, obedience training.